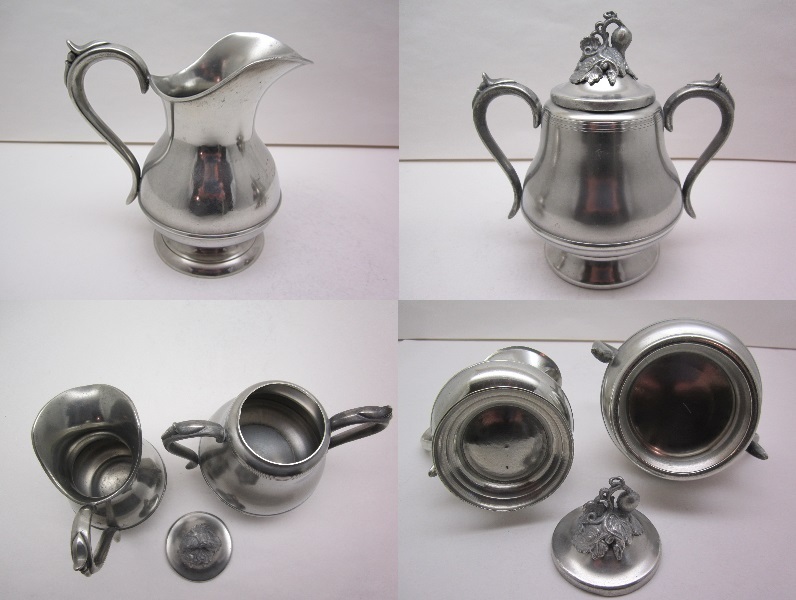 This cream jug and sugar bowl are unmarked, as were most of the pewter items produced by the Meriden Britannia Company of Meriden, CT 1852 and later. These pieces are illustrated in the MB Co Catalogue published from 1856 to 1861. The sugar bowl stands 7" tall and the cream jug stands 5 1/2" tall. Both are in excellent original condition. The cream jug is cast and the sugar bowl is of rolled construction.